Two Turkish politicians had to seek medical attention after a parliamentary row over the country’s ongoing cross-border offensive on the Kurdish-held Syrian district of Afrin took a violent turn, secular newspaper Hürriyet said. Parliamentarians from the ruling Justice and Development Party (AKP) and the pro-Kurdish Peoples’ Democratic Party (HDP) began fighting when HDP politician Mahmut Toğrul accused the Turkish government of undertaking a programme of ethnic cleansing in the Syrian region. AKP politician Leyla Şahin Usta began shouting over Toğrul, the newspaper said. 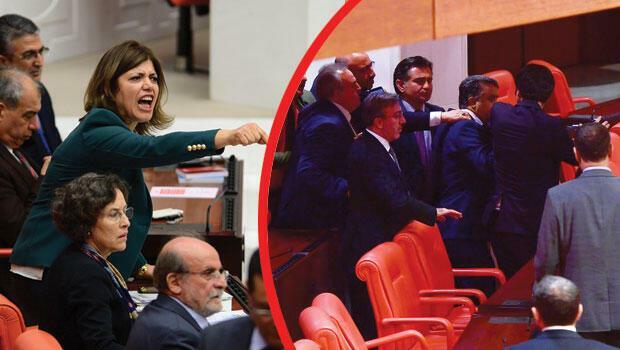 In the struggle that ensued, parliamentarians began throwing punches, Toğrul and fellow HDP parliamentarian Müslim Doğan were lightly wounded and went to the parliamentary first aid clinic. TBMM'de ortaya çıkan gerilimin ardından yaralanan 2 vekile sağlık müdahalesinde bulunuldu. AK Partililer ile HDP’liler arasında yumruklu kavga çıktı. Hafif yaralanan 2 vekil Meclis’in acil yardım merkezinde tedavi gördü.